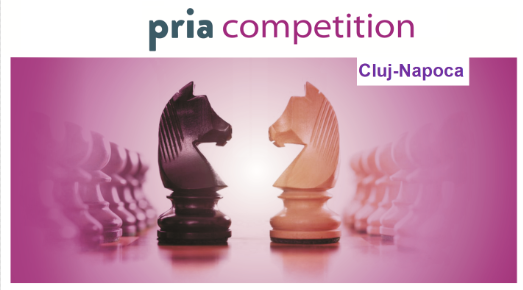 PRIAevents and Competition Council are organizing PRIA Competition Conference, the most important event dedicated to competition, on May 16th, 2019, starting at 10, for the second consecutive year in Cluj-Napoca. PRIA Competition Conference will bring together all sectors of the economy directly interested in competition from Cluj-Napoca – IT, industry, health and pharmaceutical, financial – banking, insurance, retail, energy, telecom, auto , environment, legal, agriculture, construction and real estate, services and not only. Why Cluj-Napoca? Because it is the city with the highest development in the last years, being chosen by many companies for investment, but also because it has generated many successful entrepreneurs. It is a dynamic city for many business sectors, it is a smart city model, and has the same GDP per capita as Bucharest and, last but not least, has one of the most developed academic backgrounds and excellent student results. Why to participate? This important event is of interest for top managers – presidents, general managers, contractors, development directors, strategy directors, operations directors, legal directors, lawyers, as well as professional associations, chambers of commerce, embassies, consultants, investors, economists, professors and journalists. Regardless of the field you activate in, if you want to sell or buy a company, you must receive the approval of the Competition Council. Members of professional associations also need to know which lines should not be crossed when it comes to competition. State-owned companies must also respect the competitive environment. Therefore, the authorities must be vigilant in preserving such an environment.